Carey Smith just does not trust anyone. Her circumstances have taught her that no one will do the right thing for her: not the police or her family. Some days, she does not even trust herself. She escaped from a terrible man, but now he is luring other girls, just like he did her, because she wanted to be model. Then her niece is kidnapped. Now she has to face her fears and do all she can to help get her niece back before something really terrible happens. But can she really help? 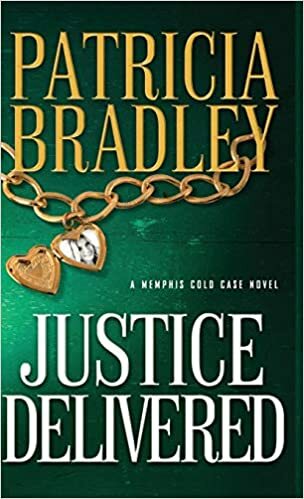 This is a part of the Memphis Cold Case series. The characters are very real and the situations, while scary and terrible, and very real. The plot is complex, but moves along, and this is a real page turner. The book does stand on its own, but the characters are easier to understand if you have read the other books in the series. Disclaimer: I received a copy of this book from the publisher. All opinions expressed are my own. Jannette has built a quiet, peaceful and private life in Harbor Bay. Her lavender farm and tea room are thriving, if only she could say the same thing about her life. She tells herself that she is happy, and if she keeps saying it, perhaps someday it will be true. Logan was instantly thrust into the role of a single dad when his mother and brother died, and he became guardian for his young niece. He leaves his San Francisco medical practice to work at a clinic so he can establish a home life with regular hours. But when the new puppy escapes and begins to dig up the lavender plants from the neighbor, Logan knows he is in over his head. Logan and Jannette learn to work together to help Molly over come her grief, and in the process, discover love themselves. I really enjoyed this book. The characters were quite real and likable. 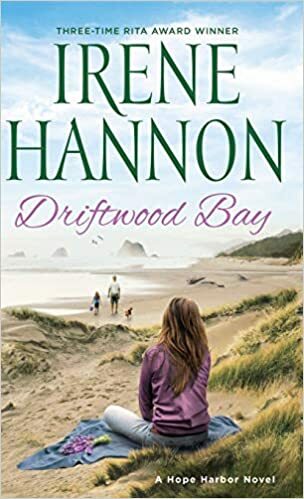 This is part of the Harbor Bay series, but this book easily stands on its own. Disclaimer: I received a copy of this book from the publisher, Revell. All opinions expressed are my own. 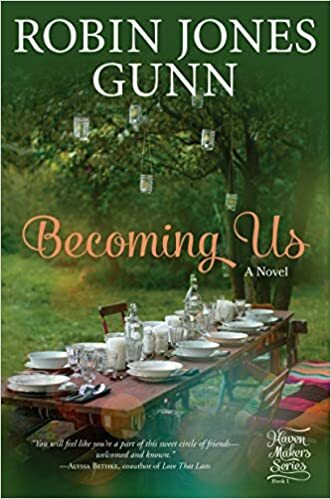 “Becoming Us” is the newest novel by Robin Jones Gunn, which will be on sale May 8, 2019. I received an Advanced Reader’s copy of the book and will be reading and reviewing it here. 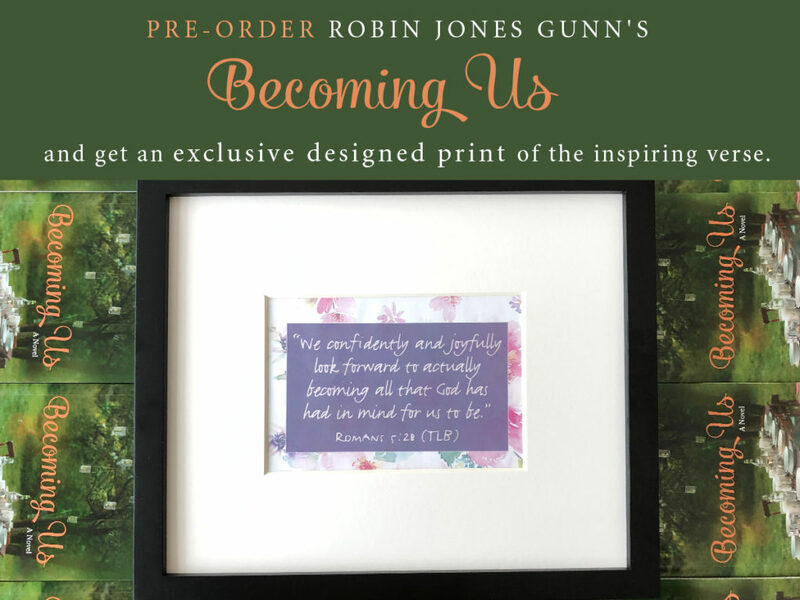 But, if you are a Robin Gunn fan, go ahead and preorder the book from your favorite retailer, THEN, check out the offer below, for a free print. Disclaimer: I received an advanced reader’s copy of this book from the publisher. I am sharing this offer with you as a condition of my involvement in the campaign. Aven has experienced so much heart ache in her short life,but now, as a young wife and soon to be mother, living on Blackbird Mountain with her husband, she is beginning to know all the joy life has. Then Thor, her deaf/ mute husband receives an official looking letter requesting him to be part of a medical study about deafness. He agrees to meet with the doctor and hopes that his contribution of medical history, physical exam and blood sample will help the doctors find the cause and help cure deafness. But instead, he becomes quite ill. He fears it is from his overuse of alcohol earlier in his life. After consulting with the town’s new doctor, he learns he has a contagious liver disease. To spare his young family, he moves to the woods into his brother’s abandoned cabin. About the same time, his younger brother Haakon returns from several years away at sea. He is unsure of his welcome, but knows it is time to come home, beg forgiveness and become part of the family again. This is the continuation of the Blackbird Mountain series. While there are a lot of details given through out the story to help the reader understand the first book, it is so much better to read it first. I do not recommend this as a stand alone book. The characters are so real and strong. It is an inspiring story of love and forgiveness. Spending time outdoors is one of the best ways to understand creation and therefore the Creator. 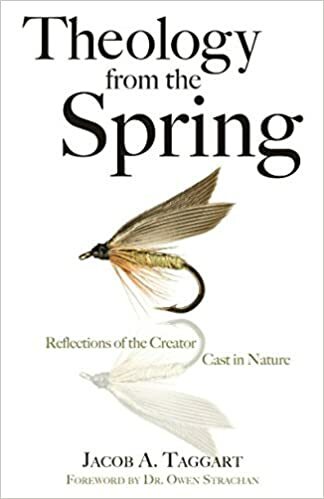 This book uses the tool of fishing to help us really look deeply into the incredible world God created and begin to understand the Biblical theology, especially relating to creation. The author is an avid outdoor’s man, who understands much about the natural worlds and especially fishing. This will appeal to many, especially men, who long to be out on the water. The stories are so believable and give a deep meaning to the sometimes difficult theological topics. This book would make a terrific father’s day gift for a fisherman. Disclaimer: I was provided with a copy of this book from the author. All opinions expressed are my own. “When Life Doesn’t Match Your Dreams” by Jill Eileen Smith. We all have hopes and dreams of the path our lives will take. But rarely does it happen that way in real life. 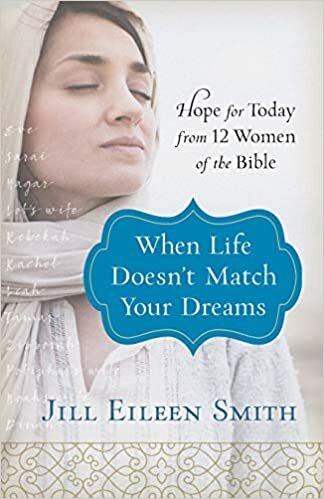 This new book by Jill Smith is an in-depth study of 12 women in the Bible whose lives took crazy turns. And we can learn something significant from each of them. Eve, Adah (Noah’s wife), Sarai, Hagar, Melah (Lot’s wife), Rebekah, Rachel, Leah, Dianah, Aneski (Potiphar’s wife), Tamar, Zipporah. Some of the names on the list are more familiar than others, but each woman faced a challenge that caused her to experience a crisis of faith. And God was in each circumstance and outcome. The chapters are full of details regarding the situation and the challenges each woman faced. At the end of the chapter are two sections: Ponder this- with a conclusion to realize based on the out come of the story, and Taking it further- which includes study or discussion questions related to the story and Bible passages. This book would make a wonderful resource for personal study or group study and discussion. The woman in the book are from the Bible, but the situations and circumstances they faced are not that different than what we encounter today. The name Elisabeth Elliott is famous in the world of missionaries. I remember as a child reading the book “Through the Gates of Splendor” and even reading the comic book by the same title. Jim and Elisabeth Elliott were pioneering missionaries in the jungle, and their example has paved the way for many to follow. 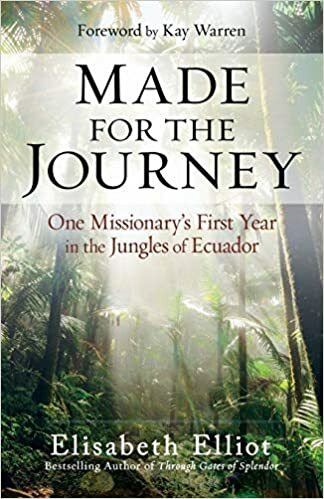 This book is a deeply personal and informational account of Elisabeth’s first year in Ecuador. She and her fellow US Missionary, Dorthy, traveled and worked in Ecuador. This book has very detailed accounts of their first weeks and months in the field. She shares their struggles to adapt in numerous ways. She introduces us to people they meet there and how their lives were impacted. While missionary work has changed, many of the feelings and emotions expressed are still the same. The tone of the book makes it easy to read and follow their progress through the transitional year. This is an inspiring book from a woman who was quite a hero. This is a reprint of the same book published in 1998. This is a Biblical historical fiction story about Daniel. There are several familiar stories regarding Daniel: Daniel in the lions den and Daniel’s friends in the fiery furnace. But there is so much more to Daniel’s life and the author, Mesu Andrews brings the character to life. This book has a lot of secular history included especially information about the other gods that the Babylonians worshiped. Also included are the rulers of the day who were not always good rulers nor did they always follow the true God. This book is pretty easy to read, although it jumps quite frequently on the time line, and I sometimes had a hard time keeping the story line straight. But if settled down and I got all the characters organized in my mind. 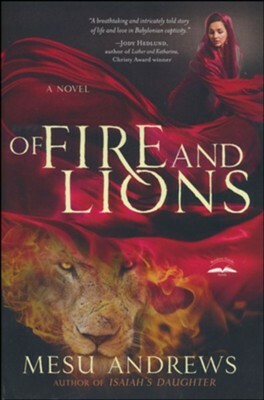 I recommend this book for those for those of you who enjoy Biblical historical fiction. Disclaimer: I received an Advanced Reader’s Copy of this book from the publisher. All opinions expressed are my own. Welcome to the Blog Tour for Never Let Go, the first book in the Uncommon Justice series by Elizabeth Goddard with JustRead Publicity Tours! The case may be cold, but things are about to heat up.Forensic genealogist Willow Anderson is following in her late grandfather’s footsteps in her quest for answers about a baby abducted from a hospital more than twenty years ago. When someone makes an attempt on Willow’s life to keep her from discovering the truth, help will come from an unexpected source.Ex-FBI agent–and Willow’s ex-flame–Austin McKade readily offers to protect the woman he never should have let get away. Together they’ll follow where the clues lead them, even if it means Austin must face the past he’s spent much of his life trying to forget–and put Willow’s tender heart at risk. My review: Willow Anderson is a forensic genealogist, just like her grandfather before her. She is investigating a 20 year old case of a baby kidnapped from a hospital. But then, someone is set on her not discovering the truth and makes an attempt on her life. But she does not stop her search. At the same time, Austin McKade offers to protect Willow. He is certainly qualified as he is an ex- FBI agent, but he is also Willow’s old boyfriend. This makes things very challenging. Together they search for clues of the baby, now a young adult. Welcome to the Blog Blitz & Giveaway for A Most Inconvenient Love by Ruth Logan Herne, hosted by JustRead Publicity Tours! Enter via the Rafflecoptergiveaway below. Giveaway will begin at midnight February 28, 2019 and last through 11:59 pm March 7, 2019. Open internationally except where prohibited by law. Shipping is for US residents only though; international winner will receive digital copy of the book + egift card. Winners will be notified within 2 weeks of close of the giveaway and given 48 hours to respond or a new winner will be chosen.Giveaway is subject to the policies found here.